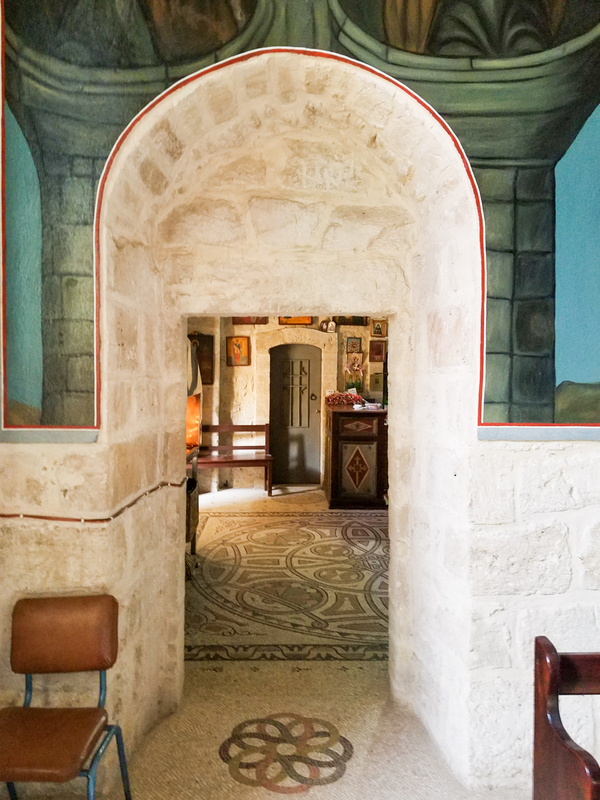 The Monastery of Saint Gerasimus was founded in the 5th century near the cave of Saint Gerasimus, who participated in the Council of Chalcedon. it was destroyed by the Persians in 614, and rebuilt by the Crusaders; restored in the 12th century; rebuilt in 1588; destroyed around 1734, and reestablished around 1885. 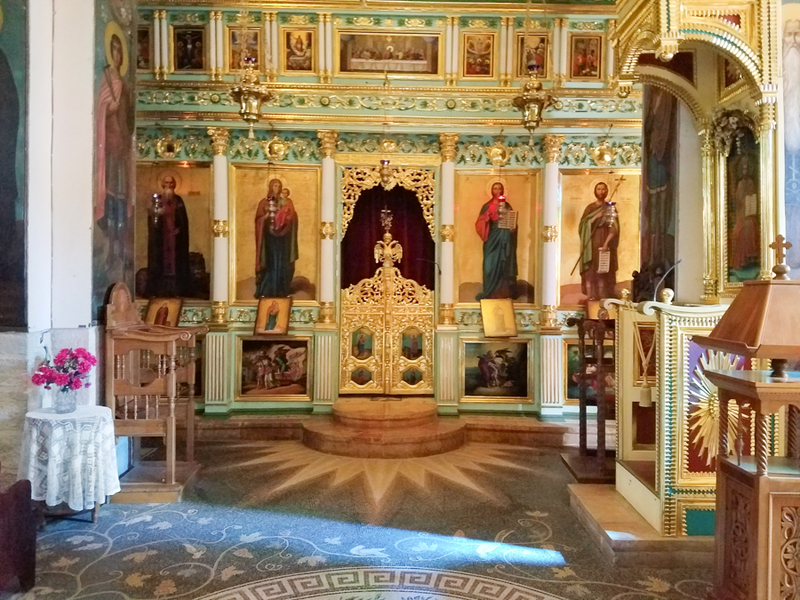 Icon screen in the major church. Notice the influence of Western art on the icons. 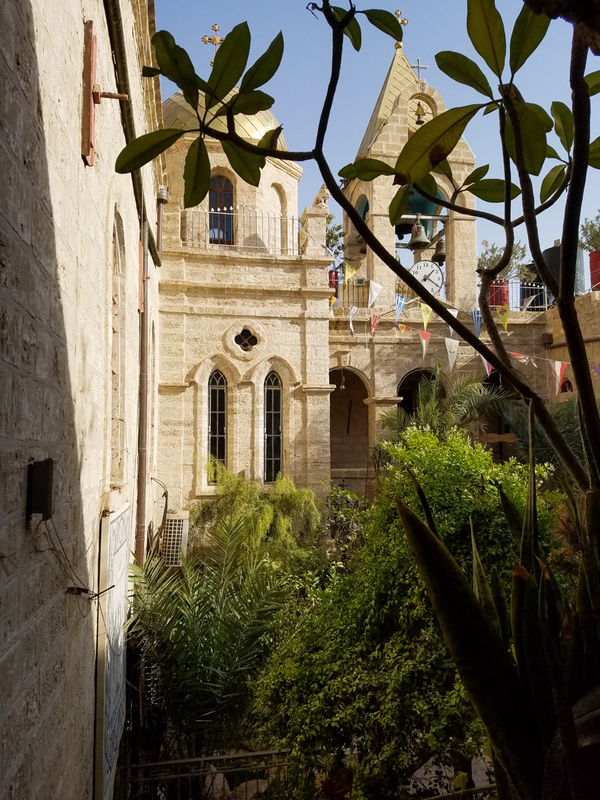 Although Saint Gerasimus was born in Lycia in southern Turkey his monastic quest led him from Turkey to the monastic establishments of Egypt and then on to Palestine near the river Jordan, where he established a monastery near the Jordan River near Jericho. His feast is March 5 in the West and March 4 in the East, as he is venerated in both West and East. 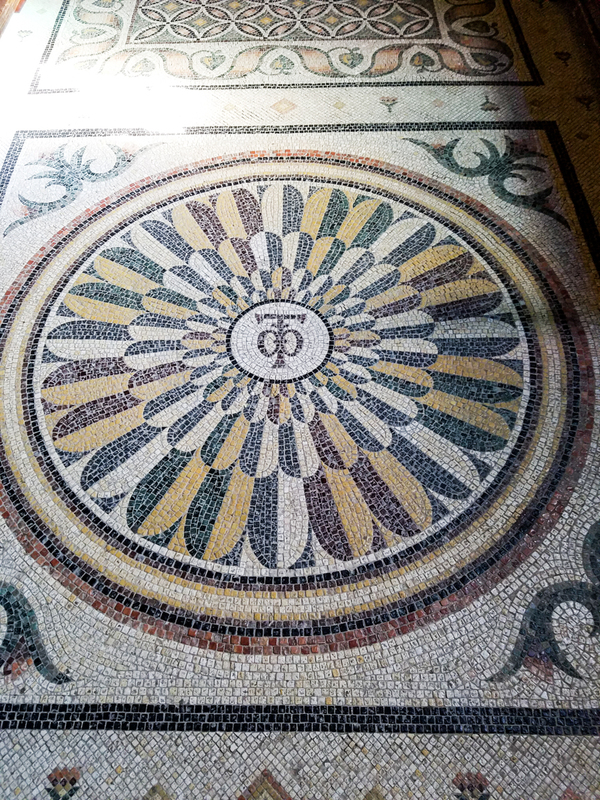 One charming story in his hagiography is that he pulled a thorn out of the paw of a lion, which is commemorated in the mosaic work in the church. 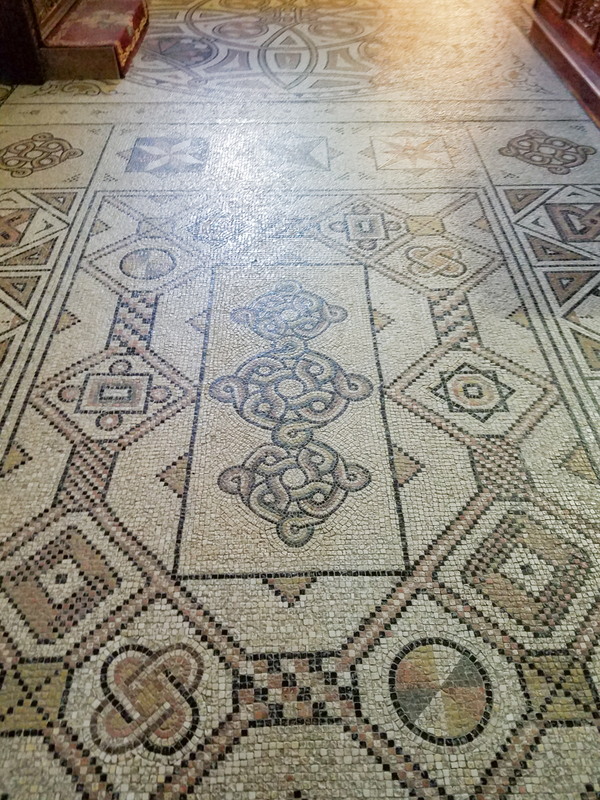 It is one of many beautiful mosaics in the monastic establishment. A beautiful Tau cross in a geometric circle. Saint Anthony of the 3rd century and one of the first Christian monks used a crutch in the shape of a Tau. When he visited another monk, he would place the cross outside the cave as a symbol of communion of God. Entrance into the Monastic Chapel. 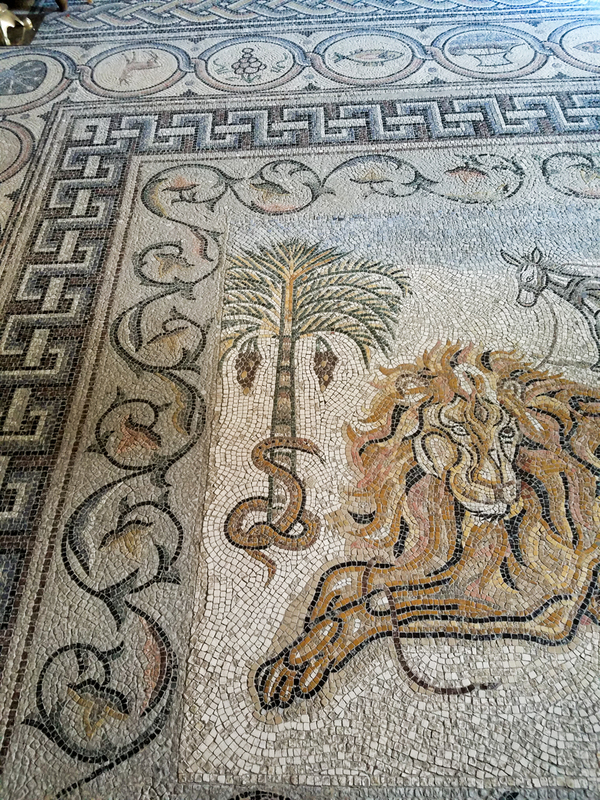 The intricacy of the mosaics is truly stunning. 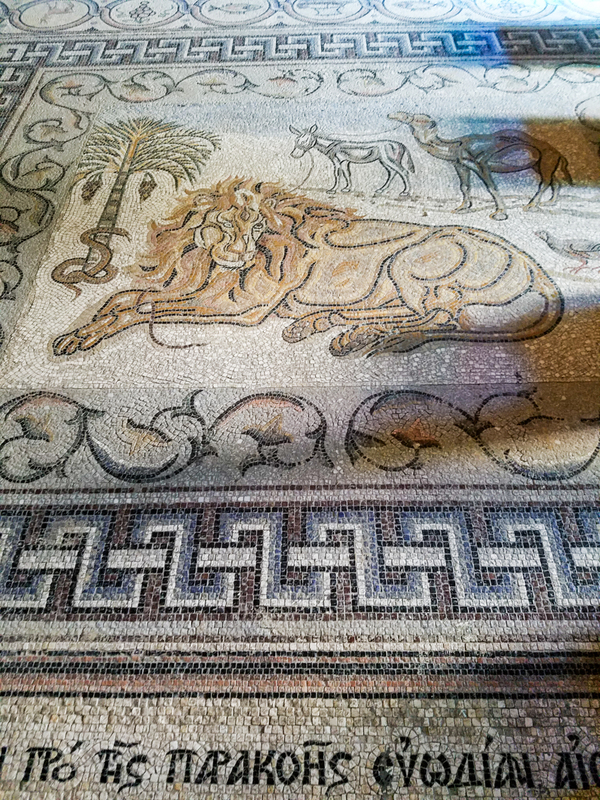 The Cave Church also has some beautiful floor mosaics. 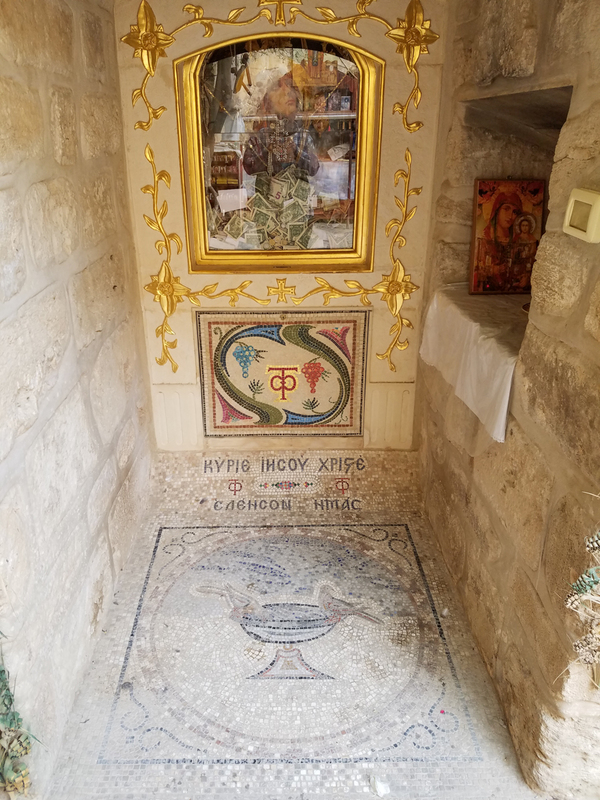 This entry was posted in Christianity, Travel and tagged Chalcedon, Christianity, Gerasimus, Monastery, monasticism, Mosaics, Saint on May 2, 2017 by frjfkauffmann.